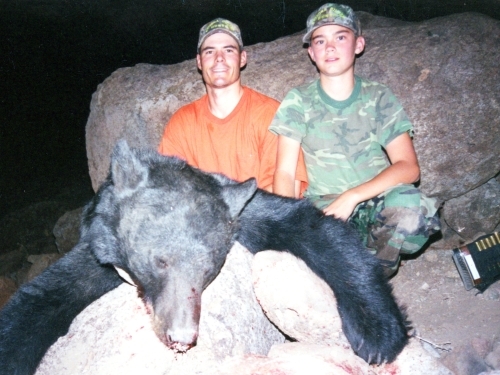 Some of our Bear Hunt Photos from Long Ago! 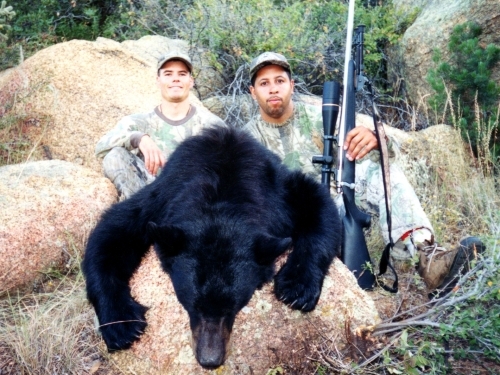 Guide Pat Feldt and youth hunter Bobby Quesnel who shot this big bear at 410 yards with one shot! 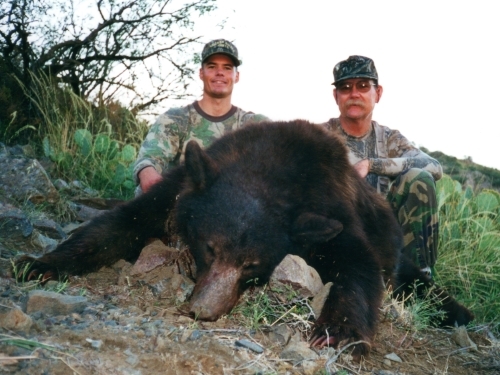 Mike Rosio shot this bear in the scrub oak thickets after his guide called it into an opening using a predator call. The shot was 230 yards. 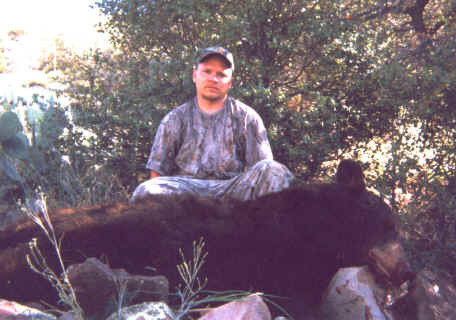 Patrick Fojt with a big brown-phased Arizona black bear. 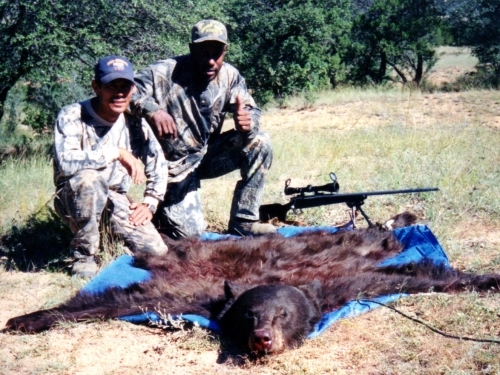 Guide Mike Cachero with hunter Joe Eades and his cinnamon bear. 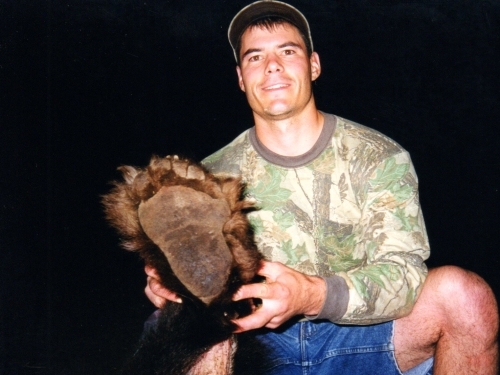 This bear charged Joe and was taken at 10 feet. Read Joe's article. Steve Chappell's big bear has a cinnamon head and back, 7 feet long and 20-9/16" skull! Watch the video of the hunt. 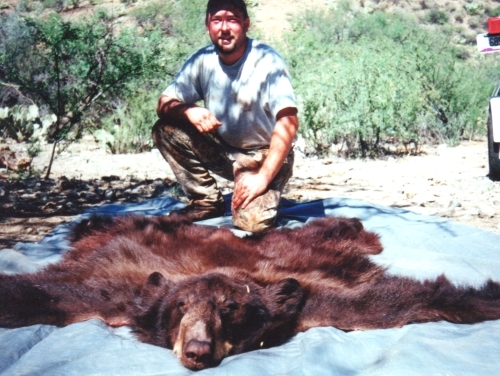 Rodney Kemper of Dallas, TX with a 6½ foot Arizona bear. Sasquatch is down! This huge bear officially scored 21-11/16" and measured just under 8 feet! 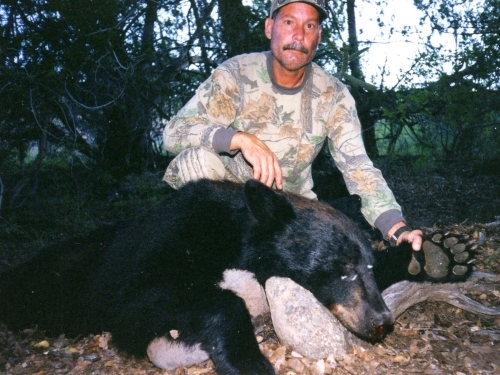 Tom Quesnel with a nice black bear that was called in with a predator call. 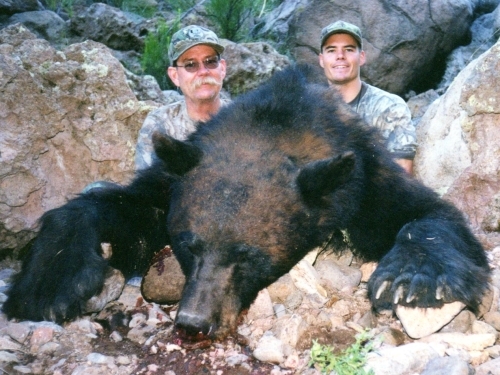 Steve Chappell of Corpus Christi, Texas with a chocolate-phased black bear. Steve used a 7mm magnum. 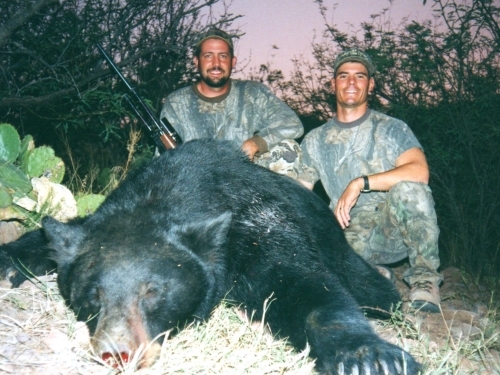 Howard Ferguson and Outfitter Pat Feldt with a HUGE black bear. 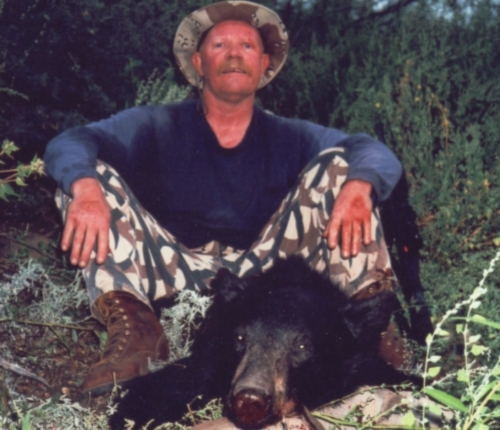 Taxidermist Gavin Weller with a cinnamon bear that he took with us. 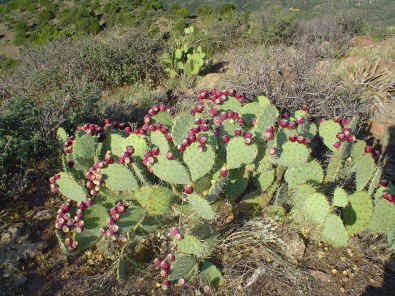 Arizona bears come to the deserts in August (our archery season) looking for ripe prickly pear cactus fruit. 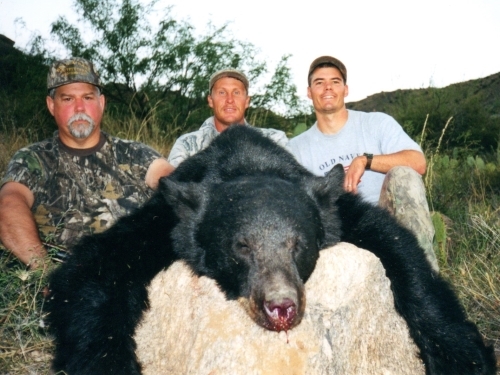 Read our bear stories for more feel of our hunts.